The Vulcans were inspired by a misunderstanding of Stoic philosophy, I’ve read. Their rigour in logic is commendable, but we students of Stoicism can see clearly that something there is lacking. Namely, an understanding of eupathos, or the healthy emotions, such as cheerfulness and well-wishing. 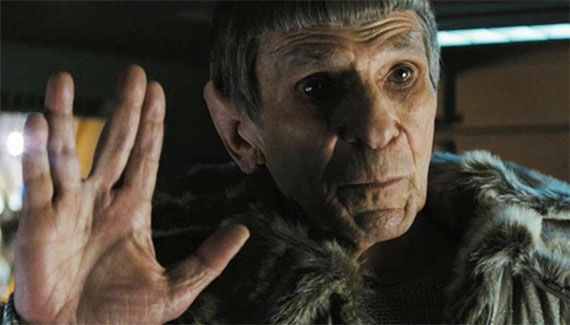 The person who lives and loves as a Stoic is not a robot, and is not torn between two natures as was Mr. Spock. Looking at the passing of the actor who presented to many folks the archetypal representation of logic over passion, I find myself in a thoughtful mood. Some of which is the ‘momento mori’ whenever such a figure passes, and also about impressions. Both the fantasia of our school and the marks we leave on others as we pass. The Japanese say that a person dies twice, once at physical death and once again as the last living person who remembers our name also dies. We could stand by the walls of the temple and inform every passerby that it is *our* name inscribed there, for posterity to see. But eventually, this too will pass away. The memories of Mr. Nemoy and Mr. Spock will probably have a bit more playing time than mine will. But this, too, is okay. Live enough, and be good while you may.